Home » Current Events » Mazal Tov! B”H, I am thrilled to have some wonderful news to share with all you JewishMOMs! The Friday before Succot I gave birth to a healthy baby boy. The bris was today and we named our newest son Yaakov Gedalya Chaim…There is an incredible story behind the name, looking forward to sharing it with all of you after the holiday:) Chag sameach! Mazel Tov and a scach nachas!!!!!!!!!!!!!! Mazal tov! Such wonderful news. I was wondering why things were quiet around here…may you raise him to Torah, chuppah and maasim tovim. Mazel Tov for all the wonderful news. Our world needs more good news. Mazel Tov! Tegadluhu L’Torah, Chuppah, Ulemaasim Tovim! mazal tov!! we rejoice with you! !hag sameah! It’s wonderful and I can’t wait for the story to know why you chose that name ! Love how you named your son ! Lots of joy for you and the whole family! Mazal tov! May Yaakov Gedalya Chaim be a source of great nachas to Hashem,your family and the whole Jewish people. wishing you a guten kvittel and enjoy the rest of yomtov. Mazal Tov!!!! G-d willing we may be able to visit Jerusalem again this winter to visit our seminary girl, will be thrilled to see the new baby! Jenny, We are so happy for you! Mazel tov!! May Yaakov Gedalya Chaim be a light to our world, as you are! Mazel tov! I am so happy for you! I know that child will be raised by the best Jewish MOM!!!! wow! what wonderful news! Looking forward to hearing more about this birth, naming, and yom tov experience from you – after a much deserved rest! Mazal tov and best wishes to your whole family! Mazal tov! Wishing you much strength in raising all of your children. And of course loads of nachas too! So wonderful to hear such great news from THE Jewish Mom! you should be blessed to enjoy every minute of your new baby and schepp much nachas from him. he should be blessed to Torah, Chuppah and Maasim tovim! Mazal Tov! Love and blessings to you and your beautiful growing family! Mazal tov! I didnt know u were expecting! !, kol hakavod! Loads of nachat and good helath, a speedy revovery Chana Jenny! You and baby! Hope u went to em vyeled!! Your smart, I know u did! whoa, what a surprise!! 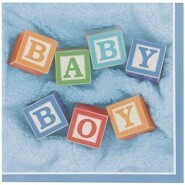 Mazel Tov – another boy – yay!!!! Can’t wait to hear the birth story and naming:) Awesome news!! MAZAL TOV. What a blessed baby to be born into such a great family. Mazel Tov! May you have much nachat from him always!